International Students Exchange Program (ISEP) offers programs in China at Jiangxi University of Finance and Economics (JUFE), Sichuan University – Pacific Lutheran University, Southwest University, Tsinghua University – China Summer Service Learning Program. Experience rural China with Tsinghua’s Summer Service Learning Program! Orientation is held in Beijing and then students travel with their Chinese teammates to carry out educational projects for poverty alleviation. For a longer study abroad experience, explore Sichuan Province during your stay at Sichuan University. Known for its spicy cuisine, panda reserves, and proximity to Tibet, this program offers additional excursions and travel opportunities. Or add on some business classes to your Chinese language learning at Jiangxi University of Finance and Economics. Located in Nanchang, Jiangxi’s provincial capital, JUFE is a great choice for an immersion experience. ISEP is a network of over 300 colleges and universities in 50 countries cooperating to provide affordable access to international education for a diverse student population. ISEP students gain intercultural competence through integration into their host institution and host culture while exploring the international dimensions of their academic field. ISEP Exchange and Direct members are institutions of higher education that are regionally accredited or recognized by their government or ministry of education. 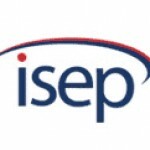 ISEP is a non-profit organization governed by a Board of Directors, supported by member fees and fees for service, and administered by a central office in Arlington, Virginia, and by the designated coordinator at each member institution. Established in 1979 under authority of the Fulbright-Hays Act as the International Student Exchange Program at Georgetown University, ISEP was supported by a grant from the (former) United States Information Agency until 1996. In 1997, ISEP was incorporated as an independent organization.